DBF file. Library which allowed to explore & write dbf file. What is DBF files ? A DBF file is a standard database file used by dBASE, a database management system application. It organises data into multiple records with fields stored in an array data type. DBF files are also compatible with other “xBase” database programs, which became an important feature because of the file format’s popularity. Below are list of program which can read and open dbf file. How to read file in linux ? “dbview” command available in linux, which can read dbf files. Below code snippet show how to use dbview command. How to read it using python ? 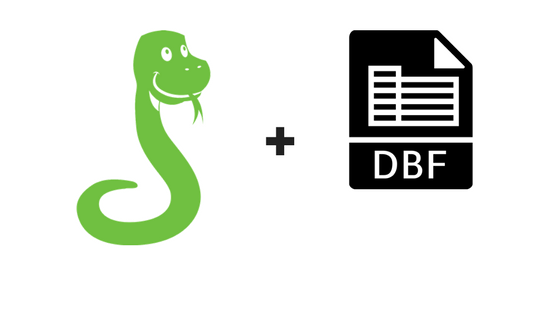 “dbfread” is the library available in python to read dbf files. This library reads DBF files and returns the data as native Python data types for further processing. dbfread requires python 3.2 or 2.7. dbfread is a pure python module, so doesn’t depend on any packages outside the standard library. You can install library by the command below. The below code snippet can read dbf file and retrieve data as python dictionary. How to Write content in DBF file using python ? dbfpy is a python-only module for reading and writing DBF-files. dbfpy can read and write simple DBF-files. The below example shows how to create dbf files and write records in to it. Also you can update a dbf file record using dbf module. The below example shows how to update a record in a .dbf file. Previous Previous post: What is milter?